Messaging apps are constantly adding functionality to allow you to do more than simply chat with your contacts. But now, Google is going all-out to champion SMS as the standard of the future for mobile users. The company has imaginatively rebranded its Messenger app, which previously handled SMS messages on Android, to ‘Android Messages’. Beyond the name change, there are also a bunch of iMessage-like features that you’ll be able to experience soon. That means you’ll be able to receive things like travel boarding passes along with QR codes, as well as options to top up your mobile data right within Android Messages. 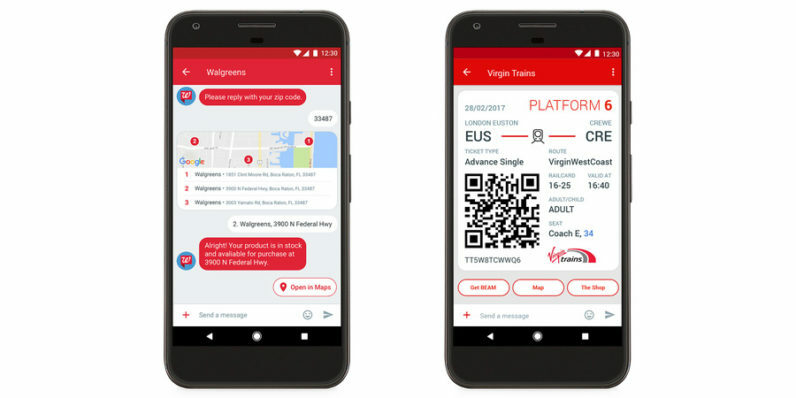 Gamestop, Time Inc., Virgin Trains and Walgreens will be among the first to deliver enhanced messages through the new platform. Google’s app already supports RCS; Android Police noted that the feature was turned on last November. This is mostly thanks to Jibe Mobile, the RCS service provider that Google acquired in 2015. That firm’s CEO, Amir Sarhangi, was tasked with expanding RCS support. With his help, Google has convinced several carriers to support the Universal Profile standard to ensure that RCS messages are delivered to customers successfully. Mobile carriers Deutsche Telekom, Globe, Orange and Vodafone have signed on to preload Android Messages on phones they bundle with their subscriptions. Plus, a large number of manufacturers, including LG, Motorola, Sony, HTC, and Nokia, will also ditch building custom SMS apps; Pixel and Android One devices will also come with Android Messages. The use of RCS, which is compatible with SMS, ensures that all partner companies’ customers receive the texts even if they don’t have Android Messages installed; they’ll just receive a simpler text message than if they had the app. That negates the need for brands to rely on customers using a specific messaging service when they want to reach them. Of course, Google’s work isn’t finished yet. It still has to get a lot more buy-in from the likes of carriers like Verizon, T-Mobile and AT&T in the US, numerous others across other regions, as well as major manufacturers Samsung and Apple, before RCS is more widely adopted. Android Messages is available now from Google Play.